Your body is, at least for these nine months, not just your body anymore. You’re carrying your little one and because of that you are now in charge of his safety. There are a few guidelines and tips you can follow to ensure you’re up to speed on traveling safety and can keep crossing things off your bucket list! During the first trimester, you’ll probably feel discouraged to travel either by car or by plane since this time is when your energy levels are especially low (your body working day and night developing the placenta), your morning sickness and nausea are peaking, and you’re just getting the hang of all the changes (physical and hormonal) that inevitably come with pregnancy. 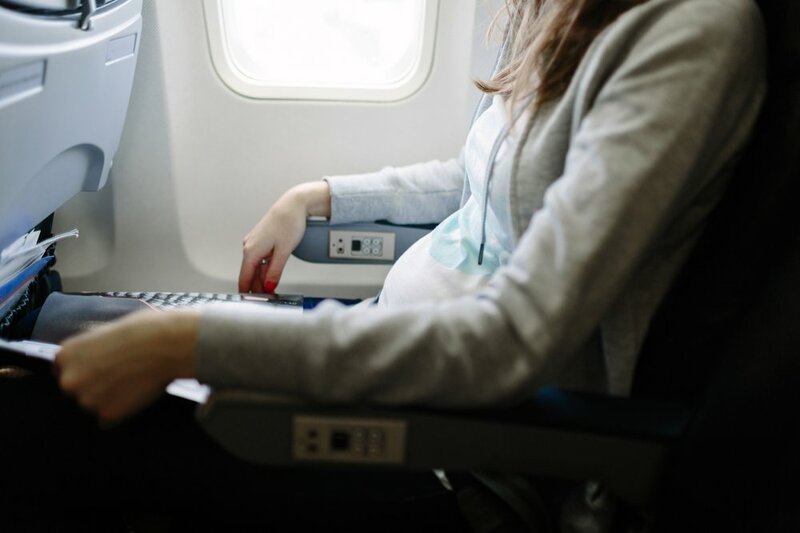 Most women feel better and are more motivated to travel during their second trimester. It’s been said that it’s the “safest” time to travel given that you have a bit more energy, the risk of a miscarriage is lower and you’ve still got a long way to go before labor. If you can, try to limit or skip altogether any travel plans during your third trimester. With your belly a lot bigger, fatigue coming on and labor drawing closer, you’ll probably want to stay home. What can you do to ensure easy breezy travels? • Avoid certain destinations altogether. o Hot and humid climate generally don’t go well together with pregnancy. Be sure to check the weather of wherever you’re planning to go. o Destinations with high altitude can make it a little harder to breathe (if it’s hard for you, imagine what your baby’s going through). o Destinations that require long walks or standing for extended periods of time. Remember, your energy levels are different now that you’re carrying a little person inside you. • Check with your doctor, but general recommendations (from airlines, doctors and insurance companies) suggest you take a rain check on any airplane travels after week 36. • If you’re in the clear and are getting on an airplane, be sure to choose your seat (aisle tends to be your ally for those constant pee breaks), take walks up and down the aisle to help with your circulation, drink lots of fluids and wear loose and comfortable clothing. • Take copies of your doctor’s letter regarding your due date and clearance for travel and any medical records that may be relevant for your pregnancy. • Think ahead and research the contact information of health care facilities that could treat you in case of an emergency during your trip. The golden rule in this case is to always check with your doctor before going on any trip (long ones even more so). Last but not least, safe travels!